The words “Latin America” refers to the 21 countries of the American continent where certain Latin languages are spoken. These countries, although diverse, have a lot in common with each other in many aspects other than the languages they speak. It has actually more to offer in its colorful Hispanic culture, its tourism, not to mention its stunning and gorgeous Latin women. It is already a known fact that Latinas possess excellent physical features that make them unique and distinctive among others. However, beyond their physical attributes, they have these shared customs that have rooted down from their culture and traditions. These customs have made them recognizable in the world, as much as anyone would recognize them with their looks. One distinctive custom of the Latin American culture is the las serenatas or the serenades. This is actually one of the mere romantic ways of showing love and affection through the Latin way. This involves hiring a band of mariachis, or arriving with a group of friends to play love songs below a lover's window. When dining with Latin Americans, the word “provecho” can never be absent. This is a Hispanic custom of wishing someone a good meal, either in the context of fine dining or ordinary meal time. It is just like how French people say “bon appétit”. This can usually be heard when everyone is about to sit down for a meal, or if a person has seen someone who is about to eat. Other than those mentioned above, one distinctive characteristic of the Latin American culture is shown through their celebrations. It is an undeniable fact that this part of the world has one of the most amazing and colorful ways to celebrate events. Their traditions says a lot on how glamorous and fun Latin Americans celebrate certain occasions, events and holidays. The remarkable traditions of Latin America can be observed throughout the year but among these, the most emphasized ones are those that are done during Christmas. For one, there is the Posadas which means “inn”; it is a reenactment of how Mary and Joseph looked for shelter in Bethlehem. Another tradition of theirs is the Misa del Gallo which translates to The Mass of the Rooster. The name of the event is due to the belief of the Latin culture that a rooster crowed at midnight before the day Jesus was born, and that explains why it is the mass on Christmas Eve. America through our singles tours. 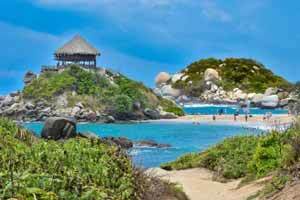 You will find some of the most beautiful beaches within the country of Colombia in the protected Tayrona National Park. 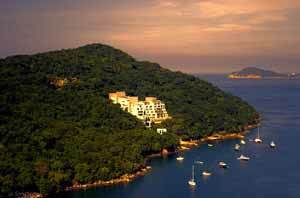 This park is known for its palm-shaded coves and crystal clear lagoons. Most of the beaches are set against the dramatic mountains of Sierra Nevada de Santa Marta, whose rainforest hills can be anyone’s best side trip. This is a good place to just relax and enjoy the sun or go on a snorkeling adventure. It will surely want you to come back to Colombia often. offer by joining our singles tours. If you are looking for an adventure with nature, this place is totally for you. 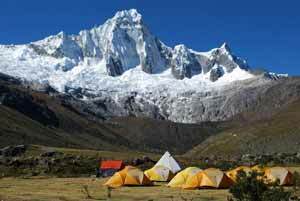 Cordillera Blanca is a mountain adventurer’s haven offering hiking, climbing and mountain biking. Located in Northern Peru, it has 16 peaks more than 6,000 meters (19,000 feet) high, earning its nickname of “the highest tropical mountain range in the world.” Part of the Andes, Huascaran is located here. Cordillera Blanca is also a good place to see the ruins of pre-Inca cultures. America through our Latin American tours! Both the tranquility of beach and the beauty of wildlife attract the visitors of this place in Costa Rica. The park is known for its beautiful stretch of sand, forest and the wildlife inhabiting the area. 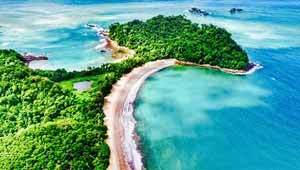 Standing in stark contrast with this tranquility is the small town of Manuel Antonio, known for its lively atmosphere. Visitors who can embrace both will find the area lending itself to a longer stay. The town has plenty of hotels and restaurants which are within easy walking distance from the park. beholds as you’re on a tour with us. Acapulco is blessed with some fabulous beaches, but they can often be overcrowded and touristy, especially in the peak seasons. Majahua beach is located just past Playa Marqúes in the Diamante area of Acapulco and is an excellent option for anyone wanting to escape the hustle and bustle of the more well-known parts of the coastline. It is admittedly a rather small stretch of sand, but the water is incredibly tranquil, making it a great spot for families with young children to relax for the day. Take a book and catch some rays, swim in the sea, or buy some fresh shrimps from the vendors nearby for lunch. Certainly, this is just a tiny portion about Latin America; that is why you should be more excited to know more about it especially when it comes to its women. The Latin women you can find in this part of the globe do not only hold great physical qualities but also possess admirable attitudes and genuinely amazing characteristics. They are not only stunners on the outside, but also on the inside. Romantic and sweet – these are just two of the best descriptions for Latin women in love. Naturally, these ladies are truly soft-spoken and caring. It is their nature to show compassion and affirmation to people who are dear to them. What they want in terms of relationship is genuine love from a serious man who would commit with them for a lifelong marriage. When it comes to relationships in Latin America, women place high value in love. They cherish and commit into their relationship wholeheartedly. Because of this, they make sure that they give out the best in them when it comes to love. They love selflessly that they are willing to make necessary sacrifices for their other half and their family. This is what you call the Latina love: selfless and unconditional. These Latin women are only a few of the single foreign girls who are enlisted in our personals. Putting into words what these women are like when in love can never justify it. However, dating women in A New Bride would definitely require you to know the dating culture of these women. However, always remember that every effort you make to woo them will certainly be worth it in the end. 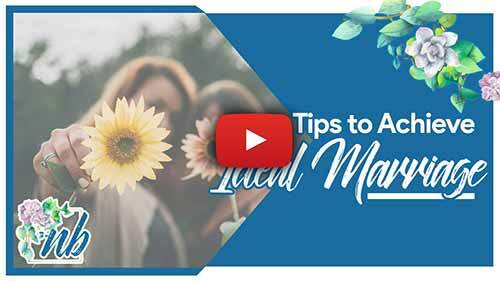 Also, knowing all about the ladies in A New Bride will surely leave you in awe on how these ladies can be worth a lifetime of commitment. Register now for FREE and explore to enjoy Latin America through singles’ tours! Here, we will help you find love and adventure all at the same time.